Taking the leap to starting your own medical practice can be exciting and rewarding, but don’t let trying to obtain finance wear you down. 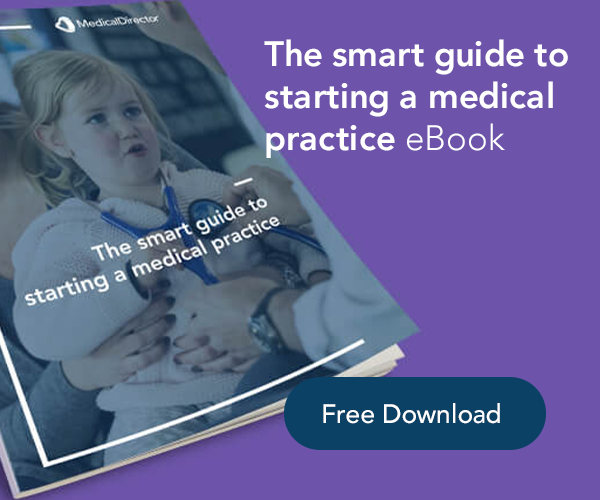 MedicalDirector’s latest ebook, ‘The Smart Guide to Starting a Medical Practice,’ reveals how to finance your first medical practice, while empowering you to be more financially efficient, stable and agile. Jumping in head first with the first offer of finance may sound exciting, but it may not be your best option. Chances are, there will be more than one financial institution or avenue for you to source finance. 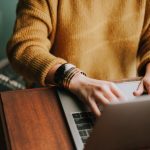 Failing to shop around for the right finance option can limit your options both at the start, and in the future, as the practice grows. So it’s worth taking the time to do your research. Try to examine at least three different options in terms of loan structures, interest rates, fees, and terms and conditions relevant to securing the funds your practice needs. Weigh the pros and cons of each option, considering key financial indicators such as eligibility, interest rates, fees and charges, exit fees and repayment structures. Whether you are starting or growing a practice, it’s a great habit to do a regular ‘health check’ of your expenses. Take a detailed look at your daily, weekly, monthly and annual expenses and think about ways to streamline costs and minimise bad debt. Look at standard costs such as banking fees, telephone costs and examine ways to be more smart about expenditure from the outset. For instance, putting in place SMS reminders and patient alerts can be far more cost-effective as a patient engagement strategy than sending out letters manually in the post. 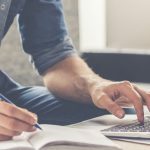 Other examples of reducing costs are sending referral letters and other correspondence via secure messaging rather than faxing, which results in both cost savings in terms of receptionist’s time and paper usage. But do not get carried away with buying everything on the first day. Plan your growth and the expenses (capital and revenue) so expenditure is staggered to meet the revenue levels. Avoid being sold items or features that you do not need from the beginning or could do without. 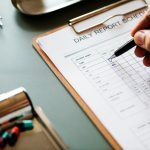 It is easy to get sucked into expenses that may look good, but do not add value to patient care. Every small expense can easily add up and eat into your income. Charging the proper fee for a consultation and determining billing types can be critical to ensuring the financial viability of your practice. It’s crucial to stay on top of any changes with Medicare, as this could have a direct impact on your billing and expenditure. This means you need to know the item numbers relevant to your practice, so that your practice is billing appropriately and understand the rules around them and any restrictions. Charging appropriately for item numbers also ensures the practitioner’s consultation is being valued and the practice is properly remunerated. To keep payment processing as fuss-free as possible, consider the efficiency, speed of payment and anti-fraud benefits of integrated EFTPOS terminal solutions. With the right financial advisor, tax and accounting support team, you can create both a short-term and long-term financial plan that is sustainable and scalable, while remaining confident you are compliant to your tax obligations.